Very comforting. Fult at ease. It was informative and reassuring. 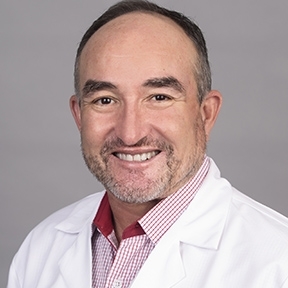 Dr. Tom Ruiz has been practicing medicine in Orange County since 1993. His scope of practice in OB/GYN is broad based including obstetrics, infertility, and general gynecology. He is well versed in the new technologies including operative hysteroscopy and operative laparoscopy. Dr. Ruiz provides a range of services and treatments from hormone replacement therapy to bladder repair, contraception, to well woman exams. Patients have expressed that they appreciate how well he communicates with them. When not practicing medicine, Dr. Ruiz enjoys visits to Disneyland. Dr. Ruiz is the bomb. He cares about his peeps and makes sure you are well informed. Plus he is a hoot to talk sports with.